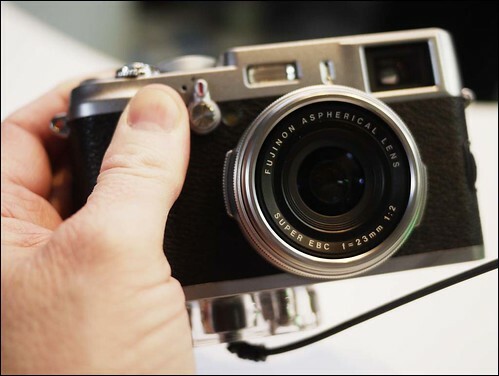 I had a chance to handle the much hyped Fuji X100 in the flesh today, at the Focus on Imaging show in Birmingham, which was something I was dreading!! I was however somewhat underwhelmed by the look, appearance and feel of it. Fuji have done a wonderful job of photographing it as its much less impressive in reality. The black skin looks and feels slightly cheap close up, and for some reason the metal doesn't look like metal! The knobs and levers also don't feel particularly solid. I was expecting my heart to sing picking it up but instead I got an "is that it?" feeling instead. Just my opinion of course, but if I'm not one of the target markets, who is? 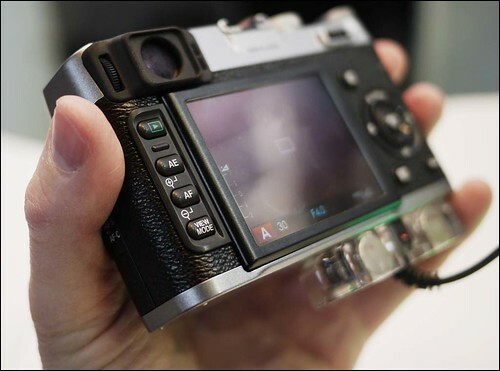 I thought the Leica X1 was a bit flimsy, but this didn't feel much better. In terms of aesthetics an E-P1 or 2 is much better in my book. 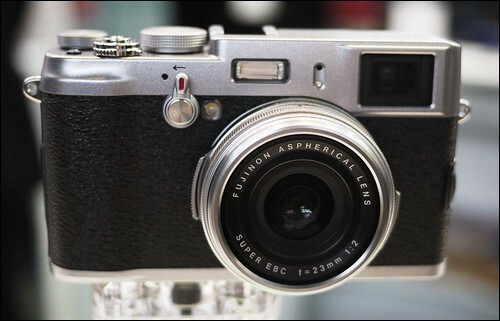 I even prefer my GF1 to the X100. I was convinced I wouldn't be able to resist this thing, but I did quite easily. I certainly wouldn't dream of paying £1000 for a compact camera with some retro styling, which is just what it felt like to me. Its got quite fast AF by the way and the shutter is really quiet, but by then I didn't care. I've been far from knocked out by the image samples, but very impressed by the high ISO performance, so I was on the fence about buying it. I'm not any more. As I said it's just my opinion, and others may be knocked out by it. However I much prefer the GF's and Pens. Incidentally the Fuji stand was almost empty. From the hype I was expecting to have to stand in line. That was far from the case. I've included a few snaps.